Mifare compatible reader collects data from high frequency (13.56MHz) RFID tags. 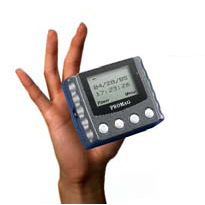 MFR120 is a small, portable, battery-powered RFID reader with LCD information panel and built-in real time clock for data verification and data collection applications. The MFR120 is designed for use with 13.56MHz tags (such as the Mifare 1k S50 Classic, Mifare Ultralight or other NFC tags), providing data collection anytime and anywhere without computer connectivity. 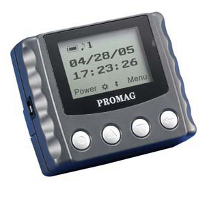 Data is read by the MFR120 RFID card reader, shown on the display and kept in the device's memory with a time stamp. Later it can be uploaded to a computer for use in a range of applications. For more details you can download a copy of the manufacturer's User Guide or download our fact sheet.